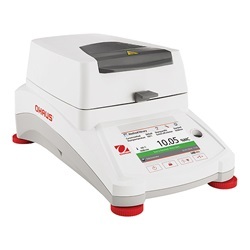 Designed to quickly, effectively and affordably measure moisture content, the Ohaus MB Series Moisture Analyzers incorporate state-of-the-art halogen heating with precision weighing technology to give a fast and accurate method for moisture content determination. Versatile and rugged enough for continuous operation in food and beverage, quality control, environmental and many other applications. The MB Series Moisture Analyzers feature excellent repeatability properties for consistent accuracy during testing. Choice of three preprogrammed end points for automatic test completion. 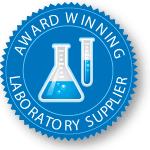 Custom design your own test end point criteria. Timed tests with audible signal when finished. Fast - for quickest possible time to temperature. Standard - for minimal overshoot while achieving temperatures quickly. Ramp - for controlled ramping to temperatures. Step - set three temperatures for difficult samples.